Those recordings can easily lead to invasion of privacy. Businesses today are filled with smartphones. Employees use those smartphones to check email, make work-related calls, and research information they need to do their jobs. They may also snap photos and record video or audio, sometimes even without anyone even realizing it. 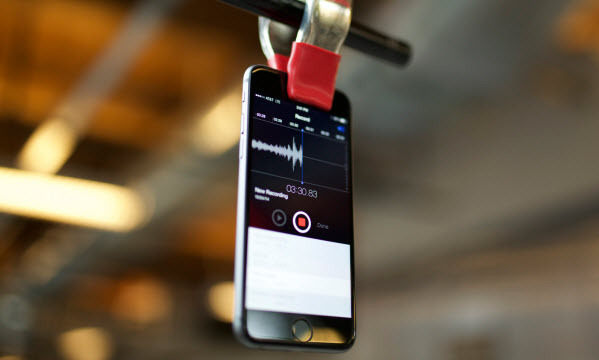 If you run a business, personal smartphone recordings could put you in a sticky situation. You want to encourage employees to freely use their devices, but you also have a responsibility to protect the privacy of your employees and customers. Here are a few things you should consider before making a decision about video and audio recordings in the office, particularly during meetings. Audio recordings do have a valuable use in workplaces, especially during meetings where a great deal of important information will be shared in a short space of time. Today’s tools let employees record information and save it or convert it to text for later reference. However, if for some reason a business has a legal issue, a recording could hurt a business’s case. Even if you fully believe nothing illegal could happen in your workplace, it is possible that it could become an issue at some point. One way to provide the benefits of an audio recording without the risk is to record proceedings yourself. You can use a transcription service or voice-to-text translation tool to provide a text-based version of everything that was discussed. This type of document is more effective than minutes, since it will describe everything that was discussed, rather than simply summarizing. When it comes to recording in-person conversations, the law may give a business leader a great reason to set a policy. You should check with laws as they apply and make a decision specific to each situation. However, if the employee does request permission to record a meeting, an employer could be tasked with making a decision in front of a roomful of people. If there is a reason for the employee to record, such as a pending legal case, the request could bring attention to the issue, making things awkward for the employer. At any time, any person has the right to say “no” to the request to be recorded without explanation, but that does not mean an employer should do so. It is likely best to set an anti-surveillance policy first so you will be able to refer back to that policy as a reason. An anti-surveillance policy can be positive to many employees who are increasingly concerned about the level of surveillance that appears to be a part of so many workplaces. State clearly that you value the privacy of your workers and want to ensure their safety. Your employees will see this as a protection of their rights. With a policy in place, chances are employees will not ask unless there are special circumstances that require it. In some instances, however, the issue may be one of personal protection. An employee who has been accused of violating your workplace harassment policy may want to record a disciplinary meeting with HR. While consent to this is up to the individual organization, it could appear that you have something to hide by refusing. If you do consent to allow a recording in these instances, experts recommend making your own recording of the meeting for your own protection. Smartphones make it easy to record meetings and conversations for a variety of purposes. In the workplace, however, those recordings can lead to an invasion of privacy. There are instances where employees may feel they need to record a meeting and experts advise making a decision on those as they arise. By having a policy in place and taking measures to record meetings on your own when necessary, you will be able to deal with most instances where employees would ask to record.